New companies that have only recently been formed, or just started operating. “New entrants,” in insurance industry terminology. Owner operator companies, such as in trucking when the driver of the semi truck is also the owner of the company. Long-haul/OTR trucking companies. Insurance companies prefer writing policies for trucks that will be operating locally or regionally, not nationally. Well, struggle no more. 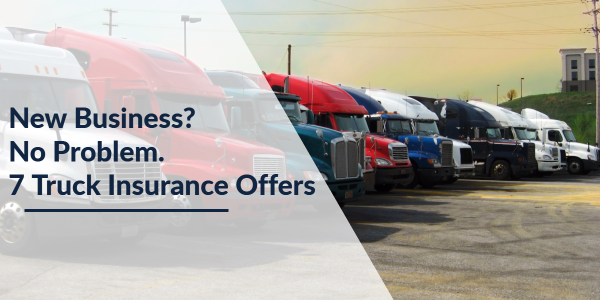 We found 7 companies that will help you insure your truck, regardless of whether you’re a first-time owner operator trucking cross country, or driving a dump truck locally, or using a box van for pick-up and delivery. You can call them directly, or use the form below to request quotes from multiple insurers at once.